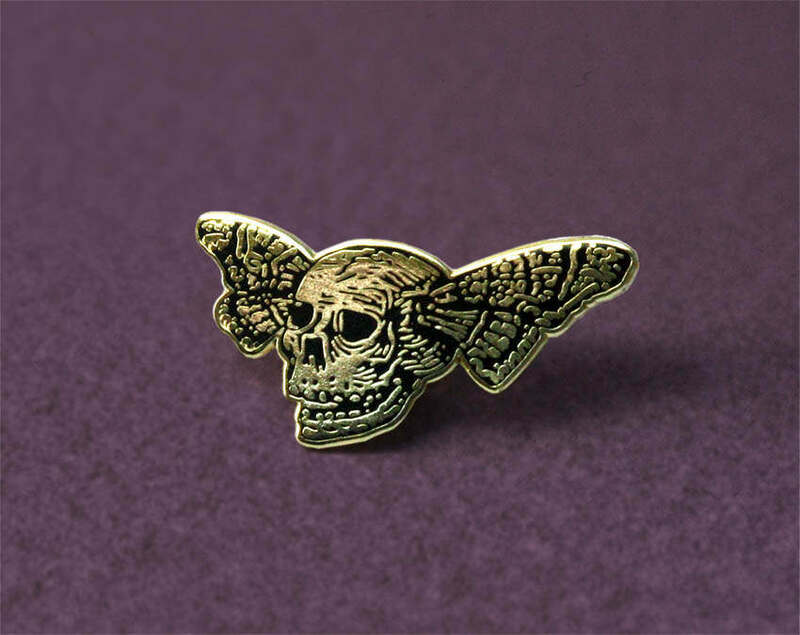 Let's fly down to the Catacombs of Paris with this skull with butterfly wings lapel pin. 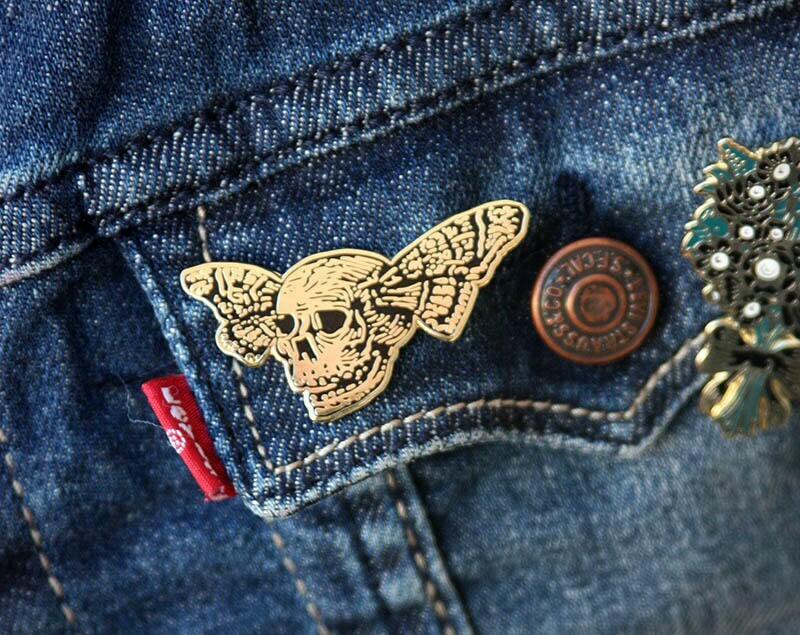 Inspired by the engravings of Jorge Posada, this pin was made for the Parisian Catacombs Museum. 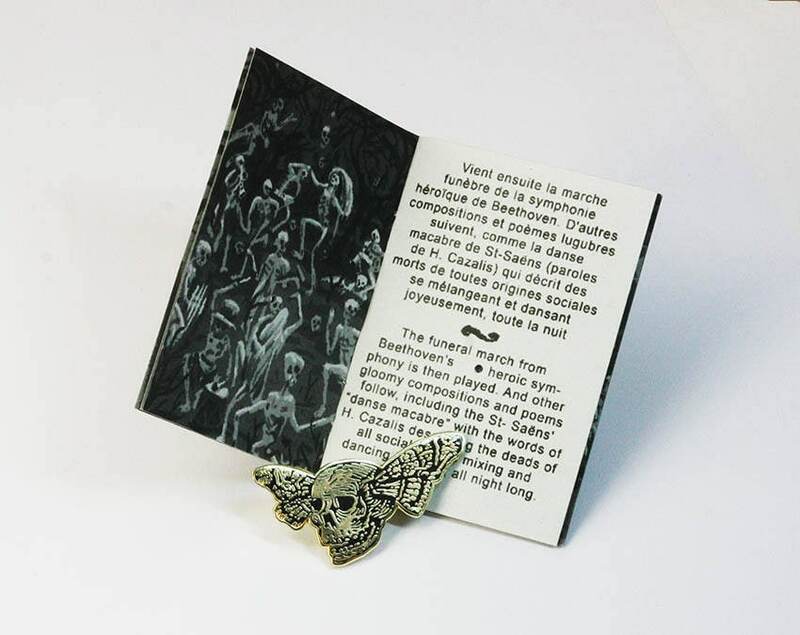 It comes with a mini-comic that will make you the privileged guest of a secret concert given in 1897 inside the municipal ossuary. 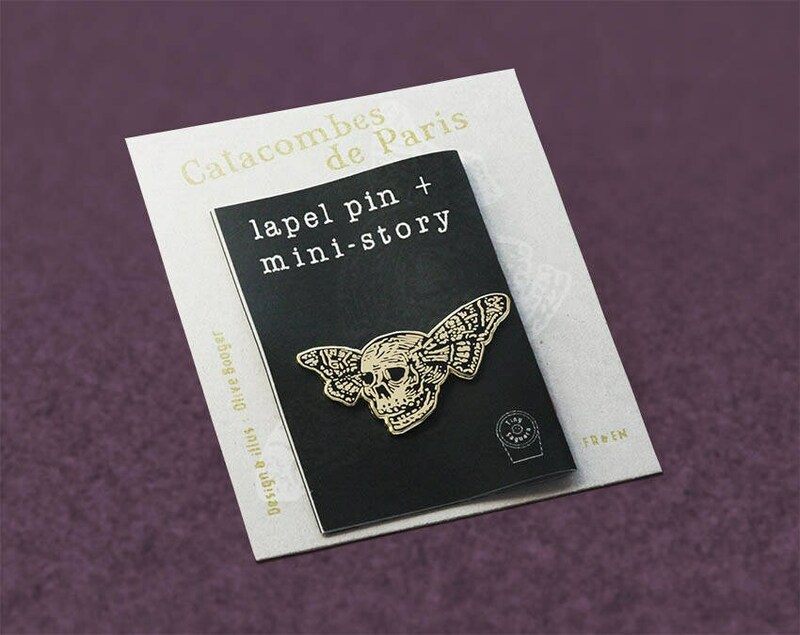 Like all other Tiny Saguaro pins, Butterfly Skull comes along with a 16 pages minicomic (in French and English). 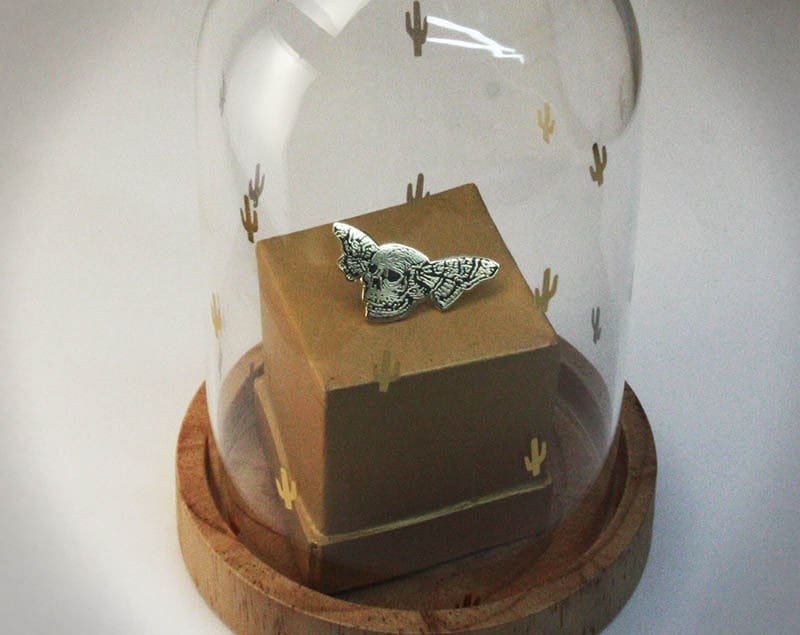 Superbe,comme tous les autres.Bonne qualité.Identique aux photos.